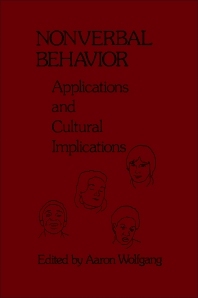 Nonverbal Behavior: Applications and Cultural Implications covers the role of nonverbal behavior in interpersonal and intercultural communications. The book discusses the emergence of an alternate epistemology in science and its application to the study of communication; the research on the measurement of the sensitivity to nonverbal communication; and the applications of nonverbal behavior in teaching. The text also describes some cultural sources of miscommunication in interracial interviews; the teacher and nonverbal behavior in the multicultural classroom; and the social contexts for ethnic borders and school failure. The implication of common misconceptions about nonverbal communication for training is also considered. Educators, practitioners, researchers, and students of human communication will find the book invaluable.